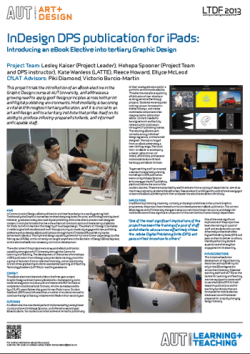 The aim of this project is to enhance digital literacy and integrate mobile technologies into the Graphic Design courses at AUT University. Traditionally these courses have involved designing books for print, and binding books by hand. 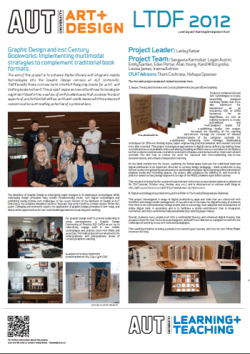 This project explores how old and new technologies might be utilised in the creation of multimodal books that combine the best aspects of printed limited edition and handmade books with the enhanced communication and reading potential of epublications. Vice Chancellor’s Academic Excellence Award for Teaching in 2013. 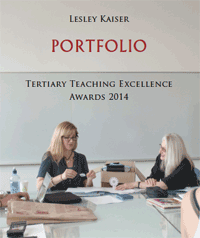 This award recognizes the outstanding contribution made to learning and teaching at AUT University.